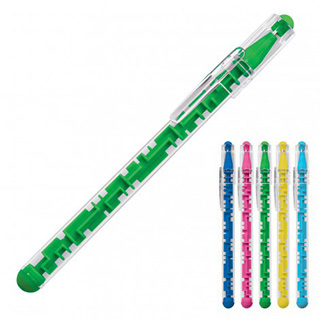 The Lenny Ballpoint pen has a surprise maze game inside the barrel and a craze game going on on the outside with the styling. Black ballpoint with cap from a quality refill (1.0mm nib). Pad or screen printed with your promotional logo on the barrel this pen will amuse and impress as a branded gift.